UCLA researchers have discovered that the Chinese practice of tai chi can reduce inflammation in people who have had breast cancer, thereby reducing a risk factor for the recurrence of the cancer. Current research indicates that women diagnosed with breast cancer in the past 10 years are three times more likely to suffer from lack of sleep. Insomnia can lead to increases in inflammation, which places breast cancer survivors at risk for cancer recurrence as well as cardiovascular disease. Led by UCLA Jonsson Comprehensive Cancer Center member Dr. Michael Irwin, researchers conducted a five-year randomized clinical trial from April 2007 to August 2013. His team analyzed blood samples from 90 participants between 30 to 85 years old, before and after they started the tai chi routine. “When people practice tai chi, there is a decrease in the stress hormones produced by the sympathetic nervous system,” said Irwin, who is professor of psychiatry and biobehavioral sciences at UCLA. 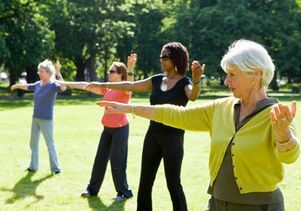 Irwin and his colleagues also discovered that tai chi relaxes the body to a certain point that it can reduce inflammation, which is commonly seen in most breast cancer survivors after treatment. Irwin said that he hopes the exercise will gain in popularity, particularly in low-income communities where many do not have immediate access to breast cancer treatment. Two-time breast cancer survivor Linda Tucker has had many sleepless nights until recently. “I absolutely did not sleep, my eyes would not stay asleep, my body just would not relax and I found myself awake until six in the morning,” said Tucker. Desperate to find a cure for her sleeping problems, Tucker decided to participate in Irwin’s tai chi study at UCLA despite her initial skepticism. 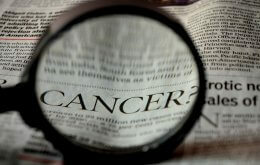 The study was published online Nov. 4 in the Journal of the National Cancer Institute.